The buttery toast locked him up in a cell. 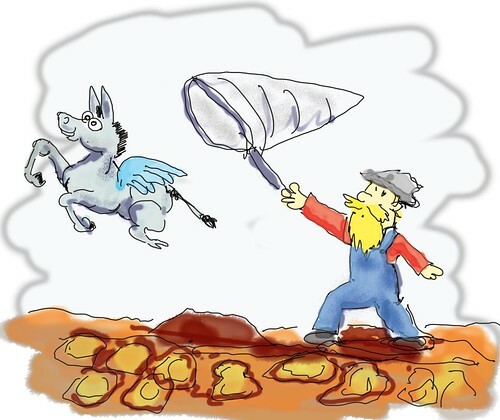 Then Farmer Jim Bob Joe found a flying donkey and tried to capture it. Farmer Jim Bob Joe was so determined to get his friend back. Squishy Watermelon Max tried to eat the toast to get out. 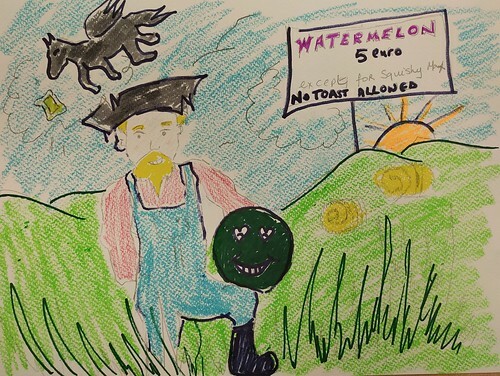 On Farmer Jim Bob Joe's journey, he had to come across his greatest fear, a swamp made out of buttery toast. Then he was surprised to see the flying donkey land beside him and ask him for a ride. So Squishy Watermelon Max ate buttery toast, got the key, and got out of the cell.